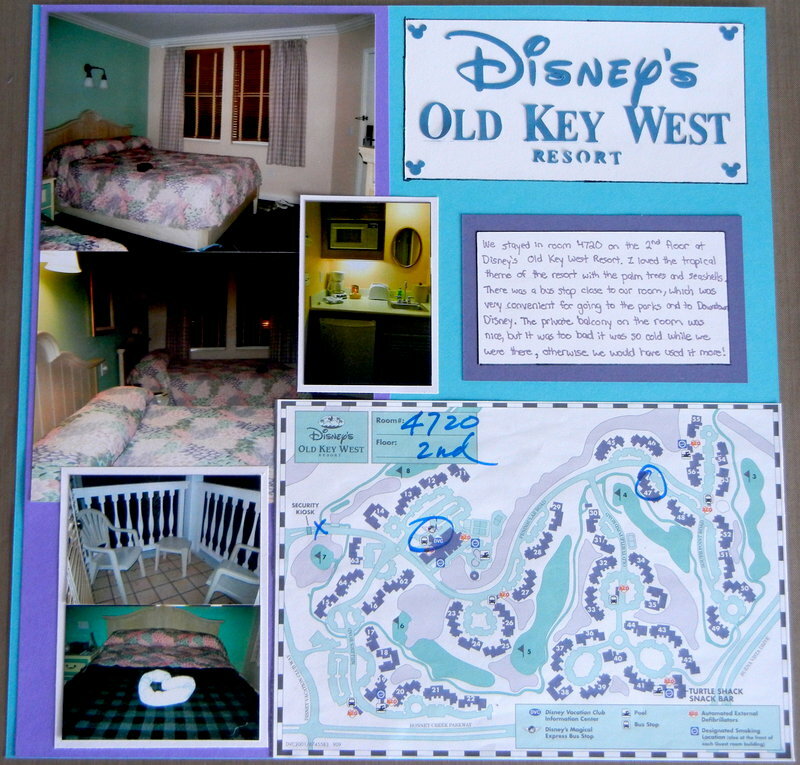 Journalling: "We stayed in room 4720 on the 2nd floor at Disney’s Old Key West Resort. I loved the tropical theme of the resort with all the palm trees and seashells. There was a bus stop close to our room, which was very convenient for going to the parks and to Downtown Disney. The private balcony on the room was nice, but it was too bad it was so cold while we were there, otherwise we would have used it more! " These are some pictures from the room we stayed in. The map was the one they gave us when we checked in to the resort. The tile was cut with a font I downloaded for the Cricut Explore, the little Mickey's in the corner of the title are from a punch I bought at Disney. This is so interesting! Love that you included the map and the title block is perfect!